Allow me to introduce the fabulous designers who choose to work with our gorgeous and thoughtful yarns! Would you like to join the family? Find out more information about Kristin's Designer Support Program and apply! Demetra Bogri began her career as a journalist, working as reporter, radio producer and news anchor in Greece and in New York for the Greek community. When she decided to have a family (married with a 4 years old daughter now) she now freelances. She is a certified crochet and knitting teacher from Craft Yarn Council and CGOA Master of Advanced Crochet Stitches & Techniques. She is a member of CGOA and the 1 and a half year volunteer into info committee! You can find Demetra's design work on her blog, Ravelry and YouTube channel. And below are Demetra's designs featuring Kristin Omdahl Yarns. Click on any image for more information about any pattern. Fan Collar Pattern featuring Be So Serene Yarn. Click on photo to get the pattern & video tutorials. "This (Be So Tender) is seriously the softest cotton I have ever worked with!" Robyn's career began as most, not in the industry. She graduated from Penn State University in Architectural Engineering and pursued a career as a Structural Engineer. Her specialty was historic preservation and renovation. A far cry from crochet fashion design, but for Robyn, they are one in the same. They both used her ability to take a big project and break it down into little items that can be understood, then piece them back together for the overall big picture. Robyn's crochet designs are geared for the intermediate crocheter that is ready to take the next step in their craft, but are not so complex that they will fail. You can see all of her architecturally inspired pieces at Crochet by Faye. "Be So Sporty Yarn is just heavenly to wear. If you haven't tried it, it is totally worth it. I can't wear animal fibers, and Kristin's bamboo is just wonderful." Julie Crawford is a writer, knitter, and designer. She is an account manager at Stitchcraft Marketing, increasing visibility of amazing craft brands. She also blogs regularly on her personal site, knittedbliss.com. Julie designed the Eucalan Lattice Cowl in Be So Brave Yarn. She says, "Be So Brave Yarn is a very matte yarn that is very well spun, even thorough and gives great stitch definition. Which is ideal for a textured stitch like the lattice stitch!" The Crochet Dude® Story: A few years ago, Drew started a little blog because all his friends were starting blogs of their own.He wanted his to be about his favorite hobby which happened to be crochet. He called it The Crochet Dude and used it to show pics of the projects he was working on each day. 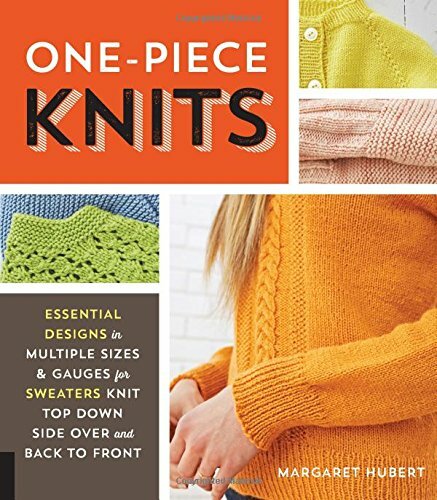 One thing led to another and before he knew it he was designing knit and crochet patterns full-time. He has nine books published to date, appeared in four seasons of the PBS t.v. show Knit & Crochet Now as the crochet expert, a line of his own signature hooks and tools available nationwide, and he's been known to teach at fiber-related conferences as well as on cruises. Drew's hopes for the NEW Crochet Dude website haven’t changed much from when he started way back when. He hopes that others are inspired by the beauty and versatility of crochet. He hope that everyone feels welcome here and finds it a safe place to hang around. He hopes that The Crochet Dude is an inspiration to children of all ages to pursue what hobbies they love. Kim Guzman is an award- winning teacher and crochet pattern designer. She writes a variety of patterns including garments, home decor, accessories and gift items. Kim has authored nearly two dozen crochet pattern and technique books, most of them in her favorite form of crochet–Tunisian crochet. Tunisian crochet offers Kim more flexibility in her designing due to its unique look, which can mimic knitting or weaving, depending on the stitches used while still maintaining crochet’s ease. Being able to combine these looks together in one project brings all needlework together and makes Tunisian crochet a favorite among many. Designer, teacher, author, and illustrator Franklin Habit is the author of It Itches: A Stash of Knitting Cartoons (Interweave Press, 2008) and I Dream of Yarn: A Knit and Crochet Coloring Book (Soho Publishing, June 2016). Franklin Habit's varied experience in the fiber world includes contributions of writing and design to Vogue Knitting, Yarn Market News, Interweave Knits, Interweave Crochet, PieceWork, Twist Collective; and regular columns and cartoons for Mason-Dixon Knitting, Knitty.com, PLY Magazine, Lion Brand Yarns, and Skacel Collection/Makers' Mercantile. Many of his independently published designs are available via Ravelry.com. "It amazes me that Kristin can produce yarns with such a luxurious look and feel for such reasonable prices. One touch and I'm dying to cast on something brand new." Margaret is a mother, grandmother, and great-grandmother. 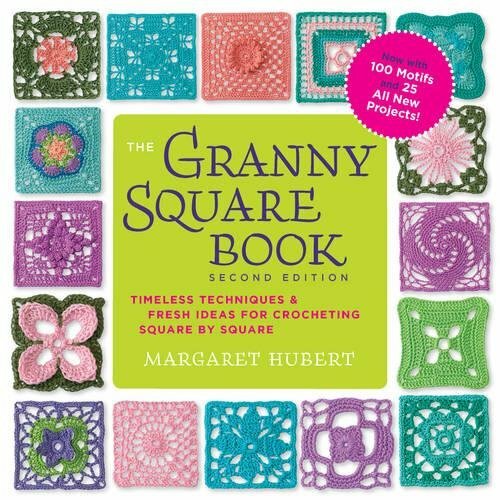 She is a prolific author of dozens of books on knitting and crocheting, She teaches and designs for magazines. She loves doing cross word puzzles and has original cross word puzzles published. She loves being with her family and friends, holidays, traveling, and watching old movies. She loves to dance but not often enough. She also loves Shakespeare and belongs to a Shakespeare club, which is 115 years old. "Be So Sporty Yarn is so soft and it is a perfect choice for making chemo caps for hospitals to give out to cancer patients, touching the recipients with a little love and comfort." Janine learned to knit at her grandmother’s knee at the age of about 7 and knitted right through school and up until her children got to an age where they refused to wear hand knits. She started knitting again seriously, about 8 years ago after a hiatus of about 10 years. Then she discovered the online knitting community. Knitting on a small island in the middle of the English Channel can be rather lonely. Thanks to the Internet she has rediscovered her knitting mojo, learned to spin, acquired a stash ( both yarn and fibre) bought a wheel and started designing in earnest – not necessarily in that order. Since then She has been fortunate enough to have designs accepted by several publishers. She has designed for Magknits, Knotions, and Yarn Forward and have had patterns published in several books including Knitting in the Sun, The Joy of Sox, and Sock Club. "Kristin Omdahl's bamboo yarns are a treat for your fingers-- incredibly soft and silky, with a gorgeous sheen to them. Be So Sporty is lightweight and cool with lovely drape... just the thing for a summer knit! Be sure to check out her wide range of colors when choosing your yarn." "The colors of Be So Fine Yarn are so rich and luscious. The yarn is super soft. Kristin has personally selected each yarn color and type to ensure they meet her strict standards. I would totally recommend this yarn." Donna Wolfe has been a "yarnie" for over thirty-five years. Her Naztazia YouTube tutorial channel has grown to over 400,000 subscribers. Her total combined views are 50 million. Donna's website naztazia.com gets tens of thousands of unique visitors daily. She is a member of Crochet Guild of America (CGOA) and The Knitting Guild Association (TKGA). When she's not working with yarn, she serves as a business consultant as well as an instructor of IT courses at local colleges and universities. She lives in Pennsylvania with her husband David, two children Sarah and Shawn, and her beagles, Bella and Becca. "Kristin's Be So Sporty is an incredibly soft, yet durable yarn. I have always loved working with bamboo yarn, but it's not always easy to find. Because Be So Sporty is a 100% bamboo yarn, anything you make from it holds its shape beautifully due to the durability, yet the item will have the softest feeling and the most beautiful flowing drape to it. Be So Sporty keeps its color wonderfully, plus it doesn't pill or release fuzzy fibers all over the place. Bamboo is also hypoallergenic, anti-microbial, and earth-friendly. That means this yarn is gentle on your skin plus very good for the planet. I get so many compliments when I wear my V scarf made from Be So Sporty. Thank you Kristin for creating such a beautiful yarn!" "I used Kristin's Be So Brave yarn for my felted tote bag. In the past, I've had some issues with crocheting and knitting with other brands of wool due to my sensitive skin and allergies. But not with Be So Brave. Kristin's 100% wool is soft, durable, yet very, very easy on the skin. You can tell there is only minimal processing done with this yarn. My sensitive skin had no isues whatsoever with Be So Brave, plus the yarn felted beautifully when making my tote. You can always tell an excellent quality wool by how well it felts and especially by how well it keeps its color after felting. Kristin's yarn felted within a reasonable timeframe in a hot water bath, and it felted very consistently. With other wools I've had to stretch them and struggle with them to take shape. And did I mention how rich and beautiful the colors are with Kristin's yarn? Be So Brave is by far the nicest (and gentlest!) 100% wool I have worked with for my designs." "Kristin's Be So Tender yarn is an amazing 100% certified organic cotton yarn that has a wonderful texture to it. When I took the yarn out of the package I could not believe how soft the fibers felt on my skin. I know cotton is soft, but this is really, really soft! I strongly believe because the yarn is organic, which means the cotton isn't treated with toxins, this greatly contributes to its wonderfully soft, natural feel. The colors are so beautiful too - Be So Tender comes in both light colors and rich deep colors. What's also nice is the texture has a slight thick/thin variation, so even a basic single crochet or stockinette stitch item can have a more interesting dimensional look to it. Most importantly, this yarn is perfect for any items that will be close to the skin, as it is very gentle. Wash cloths, baby items, scarves, blankets all work up beautifully using Kristin's Be So Tender yarn." "Kristin's Wrapture is a wonderful product for so many reasons. Unlike traditional liquid detergent or soap, Wrapture is a no-rinse, no-residue product designed for washing more delicate items like handmade garments. And Kristin created this beautiful jasmine-scented product for Eucalan, the well-known company who produces this very fine product. I've used Wrapture at home and in my videos to hand wash my completed knitted and crocheted items. It works great for wet-blocking natural fibers as well as adding it to the hot water in a washing machine for felting wool. So many products in this world bother my sensitive skin and sinuses - but not Wrapture. The natural jasmine in Wrapture creates a lovely and light scent, plus jasmine oil is a natural antiseptic and is non toxic. After trying it, you'll find yourself washing more than just your handmade items with Wrapture (for example, it works great for lingerie!)"